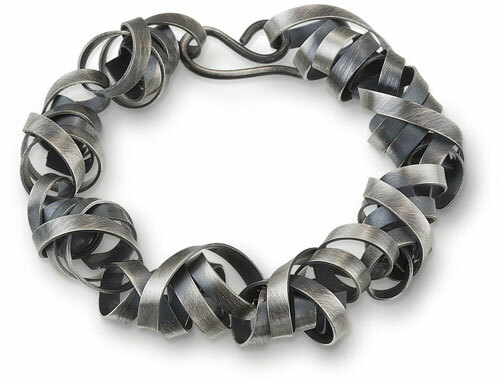 Rina Young has designed and created jewelry for twenty years, finding inspiration in the materials with which she works. Rina is fascinated with the linear qualities of metal and the ability of metal to transform from solid object to individual form through the will of the imagination (and some well used tools)! 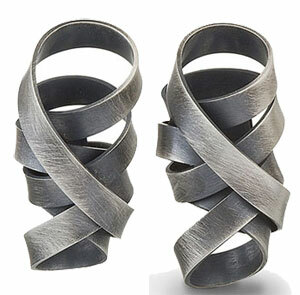 Rina Young's earrings and bracelets have been some of our bestsellers over the years. They are eye-catching and work for both day and evening wear. Have a look around Rina's site ... let us know what's of interest and we'll quote on pricing and availability.